21st Century Foresight offers a comprehensive study of ‘foresight’ as an instrument of policy. It covers the development of foresight methodology, the design of foresight activities and their evaluation. The thesis is based on eleven publications collectively making significant contributions to knowledge about global foresight practices and applications in different domains (i.e. research areas and socio-economic sectors). New conceptual frameworks developed include the Foresight Diamond, the SMART Futures Jigsaw and the Methods Combination Matrix (MCM), which can be used as tools for futures research, practical work in the design and management of forward-looking activities and knowledge transfer on foresight. The thesis shows both generalised and specific contributions to knowledge. The former is best demonstrated with the development of a “fully-fledged evaluation” framework with twenty criteria, the identification of critical factors influencing the selection of foresight methods (e.g. geo-R&D context) and the use of network analysis techniques in foresight. The latter is prominent throughout the thesis with examples including the results of particular evaluations and the profiles of foresight practices in Europe and Latin America. A prevailing theme is the use of mapping and benchmarking approaches to evaluate foresight practices and reveal a more detailed understanding of the impacts of foresight in science, technology and innovation systems. The theoretical contributions (e.g. using exploratory research and catastrophe theory) are complemented with a set of practical instruments providing methodological basis and guidelines for increasing the efficiency and outcome of foresight and horizon scanning activities. 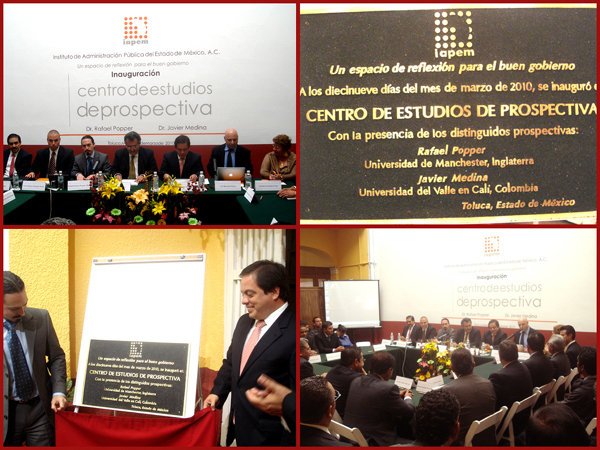 Overall, the thesis demonstrates original contributions to five distinct yet interconnected areas of knowledge: foresight methodology; foresight practices in Europe and the world; foresight in Latin America; foresight evaluation; and the evaluation of national technology foresight programmes. The various approaches used to frame the morphology of foresight – supported with evidence, comparisons and evaluations – are the main contributions to knowledge. 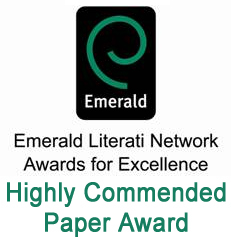 Every year Emerald invites each journal’s Editorial Team to nominate what they believe has been that title’s Outstanding Paper and up to three Highly Commended Papers from the previous 12 months. Your paper has been included among these and I am pleased to inform you that your article entitled How are foresight methods selected published in foresight has been chosen as an Outstanding Paper Award Winner at the Literati Network Awards for Excellence 2009.